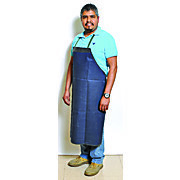 These aprons are made of a chemical resistant PVC-Coated cloth which stays flexible. There is reinforcement at the points of strain. Cloth ties at the neck and waist. 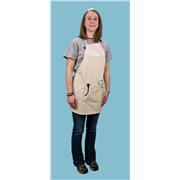 Reusable and machine washable, our fabric aprons offer a great value in the long run compared with disposable aprons. Available in attractive blue denim or natural canvas and are 100% cotton. Both aprons feature a large pocken on the front. 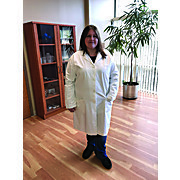 These knee-length lab coats are made of easy care 100% cotton fabric. Coats feature one upper left breast pocket, two roomy lower pockets, and side slit openings. 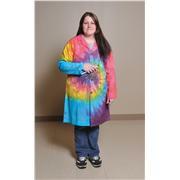 Coats are manufactured with a vibrant tie dye pattern.